When there are missing teeth, it is very important that they be replaced- due to the fact that the surrounding teeth come adrift and begin to move into the free space. This causes a number of problems; it can damage gum tissue, cause teeth to become crooked, which may in turn make cleaning more difficult and ultimately lead to periodontal (gum) disease and additional tooth decay and loss. Other problems which may arise from loss of teeth are difficulties with chewing food, poor speech and lowered self- confidence. A professionally fitted partial denture will alleviate and improve all these problems. 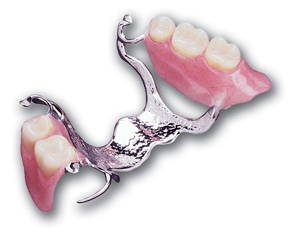 The removable partial denture can be made of plastic or chrome. 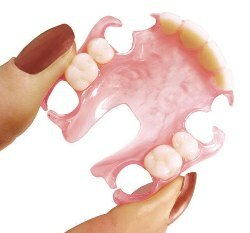 Neighbouring teeth may need crowns for the removable denture to fit correctly. It does take a while to get used to wearing a removable partial denture. All guidelines given by the dentist need to be correctly followed and the denture should never be forced or bitten into place as this could damage or break the clasps or attachments. Initially it is recommended that the denture be worn at all times in order to get used to wearing it. Another area of practice in this initial stage is to get used to pronouncing words which may sound different with the denture in place. Over-all though, speech and eating are much improved from fitting a partial denture. Once any subsequent adjustments that may need to be made have been done so and wearing it is comfortable, the denture can be removed on occasion and before going to sleep. As with natural teeth, it is important to clean the denture everyday to avoid permanent staining, plaque build-up and gum problems. Teeth under the clasps must be given special attention as plaque can build up quite quickly in this area. Special brushes designed specifically for dentures and denture cleanses are available and come highly recommended, although, soft, regular toothbrushes are also suitable (hard bristles can scratch the denture). One needs to be careful not to clean dentures with abrasive household cleaners, usually the only exceptions would be light dish-washing liquids and hand soaps. It's also important to be gentle while cleaning to avoid damage and to make sure all food particles are removed. 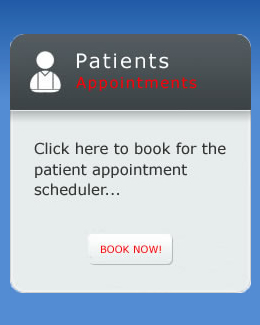 A dentist will advise on a soaking solution for the partial denture when it is removed at night. With age, the gum and jaw bone does change, this can affect a denture and mean that it will need adjusting. It will need to be taken to your dentist for adjusting to avoid infections and pain that can be caused by loose dentures. As well, general cracks, chips and looseness can be fixed either by a dentist. Do not try and use self-help kits and glues to fix any problems as this most often just makes the problem worse. For more information or the manufacture of a partial denture to suit your needs, please contact our Cape Town dentist Dr. B. Beilinsohn on 021 434 3663.